Starr remains fond of late-period Beatles, goosed with a bit of arena rock volume, and since he's working with a group of well-seasoned pros, this guitar pop is all well crafted and amiable. His umpteenth solo set is a well-timed all-star candygram. It’s a record that meets all expectations: a breezy, nostalgic affair with a much-loftier pedigree than it probably needs. 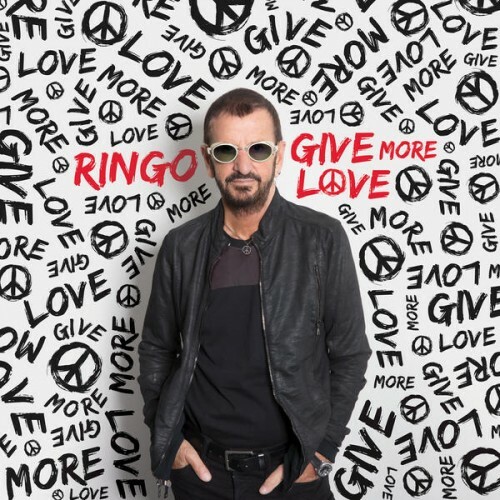 But as he has proven throughout his life, Ringo’s charm and enthusiasm win out in the end. If only I could have stopped myself from clicking "Play." To quote Ringo Starr: "It would be laughable if it wasn't sad." How prescient. Purchasing Give More Love from Amazon helps support Album of the Year. Or consider a donation?